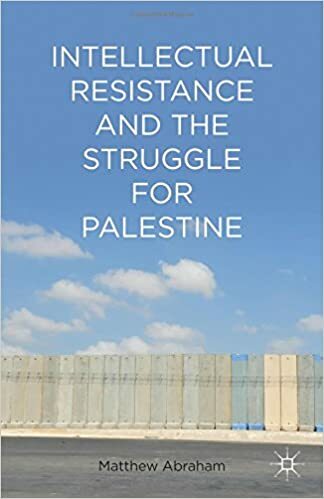 Intellectual Resistance and the Struggle for Palestine, by Matthew Abraham. New York: PalgraveMacmillan, 2014. 208 pages. x + 155 pages. Notes to p. 181. Works cited to p. 192. Index to p. 197. $90.00 hardcover and e-book.